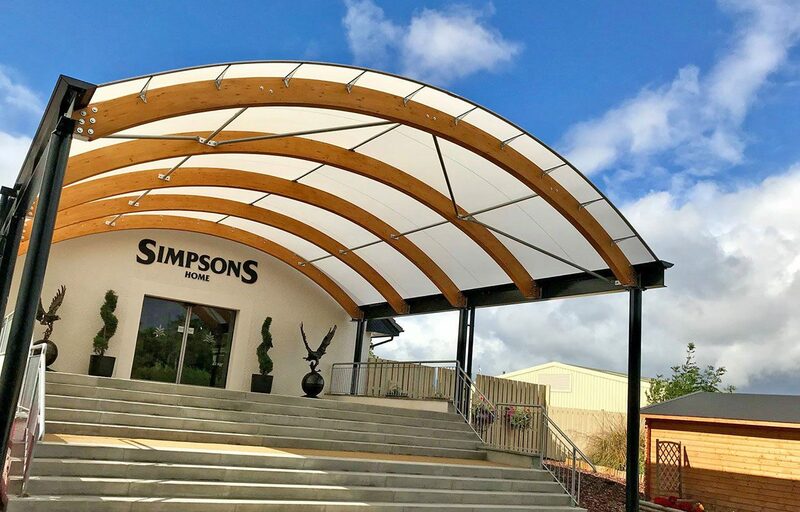 Simpsons Garden centre recently opened its Home shop. The owners wanted to create pizazz with a stunning entrance. 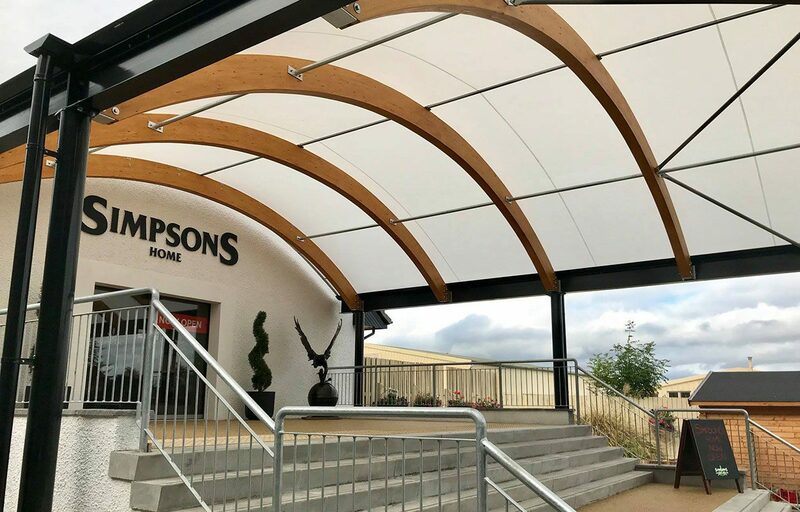 What better way to generate a stunning entrance to a shop than to position a hybrid entrance canopy? 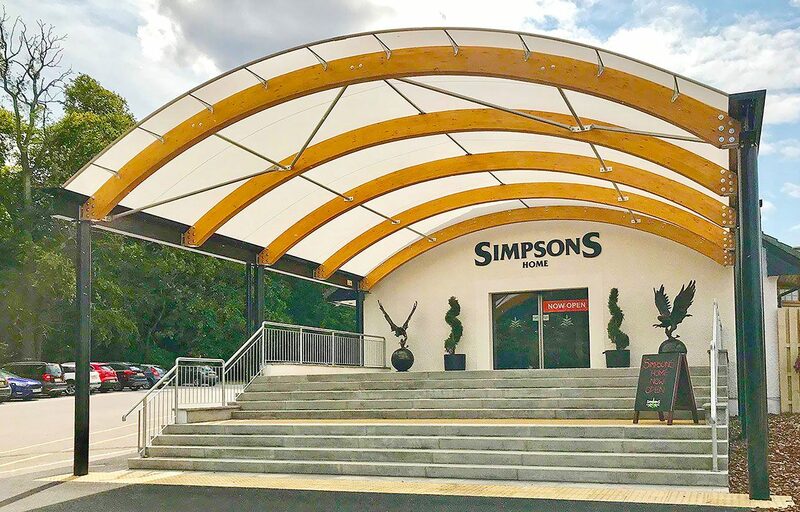 Fordingbridge designed and installed a hybrid canopy so the timber arches provided a warm welcome while the steel posts were powder coated in black to remain consistent with the branding. The entrance canopy will improve their customer experience from the outset and provide weather protection for those entering the building. The canopy also makes the location of the entrance obvious, which adds to ease of locating the home shop.